JOIN US: To receive LLTK news, event updates, and links to salmon recovery articles in local media, please join our community on Facebook and Twitter. In the estuary flats of Lilliwaup Creek, a long leg of the journey to bring salmon back from the brink of extinction has come to a happy end. Last February, a generation of hatchery-born Hood Canal Summer Chum was released into the creek for what scientists hope is the last time. 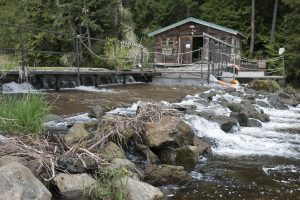 The success of Long Live the Kings’ conservation hatchery program to boost summer chum runs on Lilliwaup Creek and the Hamma Hamma River is a bright spot in the story of salmon recovery. On the West Coast, 28 stocks have been added to the federal threatened and endangered species list in Washington, Oregon and California since the early 1990s. None have yet been declared fully recovered. “When I started there were hardly any fish, and it was very difficult to find even five pairs. I was out every day for a month in a drysuit looking for fish, looking behind every rock in the river,” said Rick Endicott, Facility Manager for the Lilliwaup Field Station run by Long Live the Kings, a conservation and research organization. Only 70 chum made it back to Lilliwaup Creek in 1993, when Endicott and state fisheries managers first started capturing returning fish, harvesting their eggs, and releasing salmon at the fry stage, when they would naturally emerge from gravel beds and head for the saltwater of Hood Canal. Today, the 1/4 mile stretch of brackish water between Hood Canal and Lilliwaup Falls boasts spawning clusters that rival similar-sized streams in Alaska, the world’s bread basket of wild salmon. LLTK has released about 150,000 chum salmon fry each year into Lilliwaup Creek since 1993. 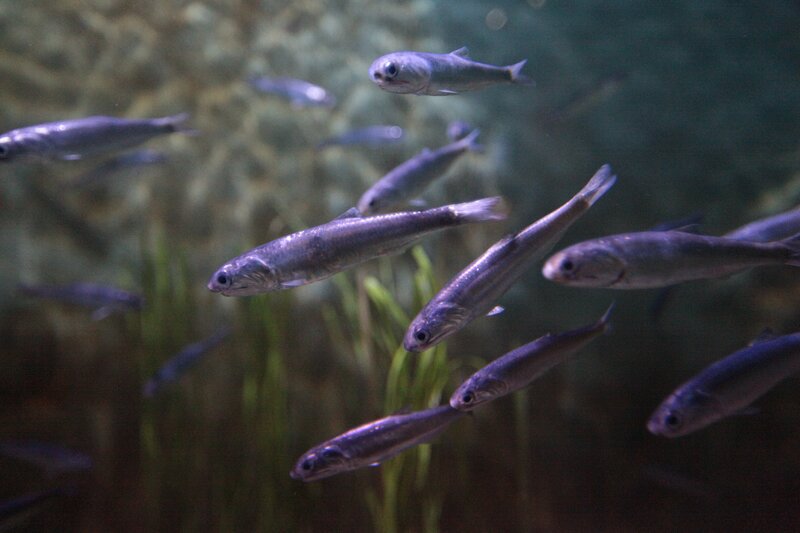 Today, between 1,500 and 3,000 chum return to spawn. Over half are born in the wild, a sign that hatchery rearing is no longer needed. LLTK stopped aiding the Hamma Hamma River population when it reached a similar milestone in 2009. Now, nearly 5,000 summer chum spawn each year. Those runs are part of the larger Hood Canal Summer Chum population, which joins Snake River Fall Chinook and Oregon Coastal Coho as one of the only three populations of salmon on a path to recovery, and, one day, delisting and removal from America’s Endangered Species Act list. For Tribal fishermen and anglers, the rebound of chum means more opportunity in the future to catch not just chum, but also prized for their flavor chinook and coho salmon. Because the three species mix in the waters of Hood Canal and its feeder rivers and streams, managers have curtailed fishing on all three species to minimize incidental catch of chum by fishermen targeting chinook and coho. The recovery of chum and other salmon species depends on a combination of actions including innovative science, careful harvest management, and habitat restoration. On more than a dozen salmon streams that flow into Hood Canal, local leaders and volunteers have been building healthy habitat one tree and one log at a time. Bankside forests regulate flows, tempering flood and drought damage. Woody debris builds in-river structures where fish can rest, avoid predators and find food. Summer chum also returned to Union Creek in record numbers, rewarding countless hours of sweat equity invested by hundreds of restoration volunteers led by groups like the Hood Canal Salmon Enhancement Group. In other watersheds on the Kitsap Peninsula side of Hood Canal, however, salmon recovery has a long road ahead. No summer chum are showing up yet in the Dewatto River or Big Beef Creek. The optimism of science, policy and community leaders is tempered by caution that it’s too early to declare the job done. 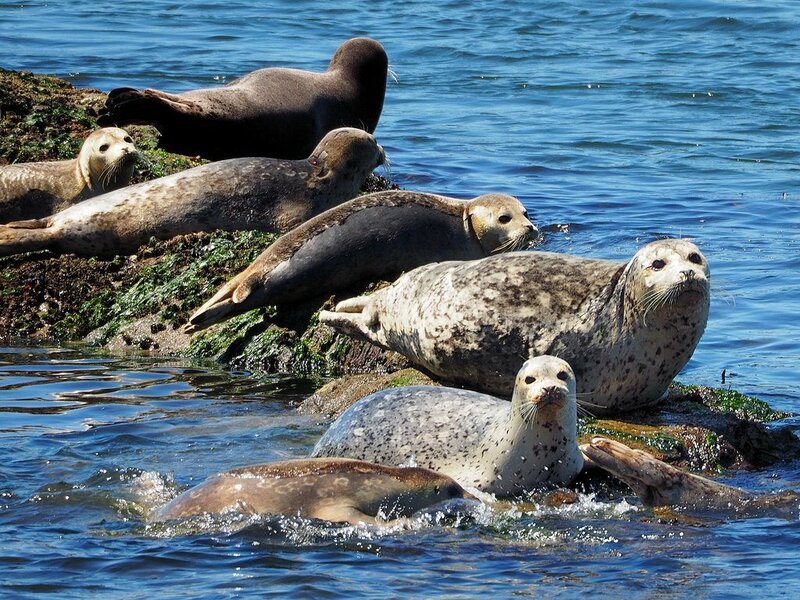 “As much as everyone here would love to see summer chum fully recovered, we want to wait for a few years before anyone talks about delisting so we make sure (the run) is healthy and ready to roll,” said Paul McCollum, Director of Natural Resources for the Port Gamble S’Klallam Tribe. Beyond the reach of local salmon recovery heroes, the intensifying impacts of climate change present new and formidable challenges. Scientists warn a warming ocean will likely mean more frequent and extreme high-temperature cycles, like the recurring El Nino weather pattern responsible for atmospheric rivers that drive windstorms and flooding. And that means lean times for salmon as the productivity of their prey, like herring and krill, falls due to warmer water in the Pacific Ocean. Scientists and fisheries’ managers know a lot about what salmon need to survive and thrive in freshwater environments: the rivers, estuaries and streams where they spawn, feed and grow. We have much to learn about what affects salmon survival in the marine environment of Puget Sound and the open ocean. LLTK is leading research in collaboration with tribal, federal, state, and independent researchers to find out why salmon are suffering high-mortality in Puget Sound. Study results, and proposed actions to improve marine survival, are expected in 2019. The study is likely to recommend modifications to Hood Canal Bridge, a known chokepoint where predators wait for salmon. As 4 to 6 inch juveniles, chum salmon migrate out of Hood Canal, under the bridge, and through the Strait of Juan de Fuca before heading north to the Gulf of Alaska. In the ocean, they will feed and grow for 2-3 years, reaching about two feet in length and weighing 8-10 pounds before returning to their birth waters to spawn the next generation of fish. The legendary life-cycle of salmon, which demands extreme endurance and a sharp homing instinct that scientists still don’t fully understand, has fascinated humans for millennia. Salmon have a remarkable ability to survive and adapt. Over the eons, these resilient fish have bounced back from calamities like earthquake-driven landslides choking off access to rivers and spawning grounds. For people doing the hard work of salmon recovery, patience and persistence do pay off. About 15,000 fry, hatched from eggs collected from only five adults, were released into Lilliwaup Creek in 1993. Eight salmon generations later, thousands return. “It’s remarkable how quickly they’ve recovered,” said Endicott. This piece was made in 2018 by Transect Films as a reflection of LLTK’s current work. For The Long Run celebrates our current project portfolio, our partners, and optimism for future success. Whether it’s recovering a certain population in a remote stream or coordinating an international research effort, LLTK believes that the work that we do is making a different for salmon, orcas, and our community. The Glenwood Springs Chinook program, located on Orcas Island in Washington State, began as an experiment. In 1978, LLTK founder Jim Youngren wanted to see if he could create a Chinook run from a small stream on his property. Nearly 40 years later, up to 4,000 Chinook return annually to be harvested in fisheries from Alaska to Northern Puget Sound. These Chinook help nourish our local population of endangered orca whales. And because few, if any, of our Chinook stray to mainland rivers, wild populations are protected from the negative effects of interbreeding with hatchery fish. Every year, we release 750,000 juvenile Chinook from Glenwood Springs Hatchery—an amazing feat, given how little water is used. This success is due in large part to an expansive network of natural rearing ponds, and to reliable sources of cold spring water that keeps our fish healthy. Glenwood Springs Hatchery is a true community effort. About 20 people volunteer annually to spawn the large Chinook that return, mark juveniles to be identified as hatchery origin in fisheries, and help maintain the facility. 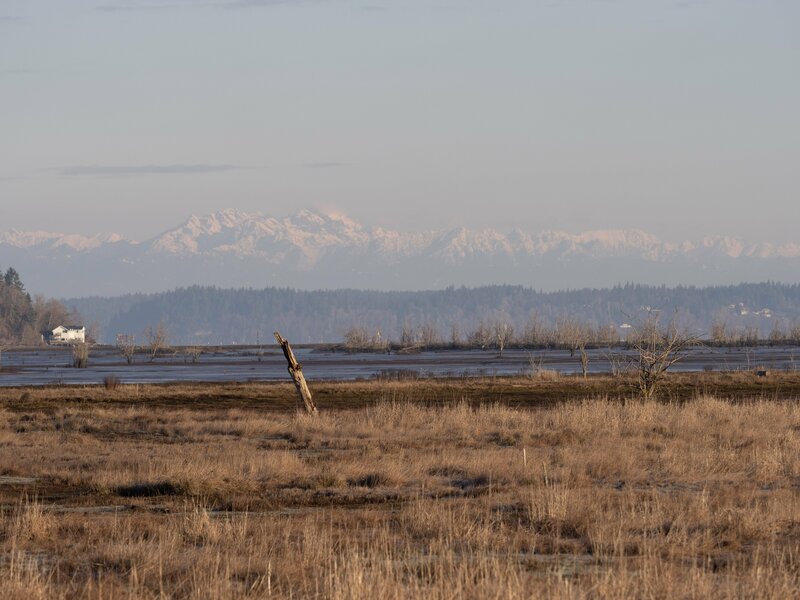 We also receive substantial operations and funding support from the Washington Department of Fish and Wildlife—our lead project partner—as well as generous members of the local community. We are pleased to welcome more than five hundred tourists, students, and campers to the hatchery every year. 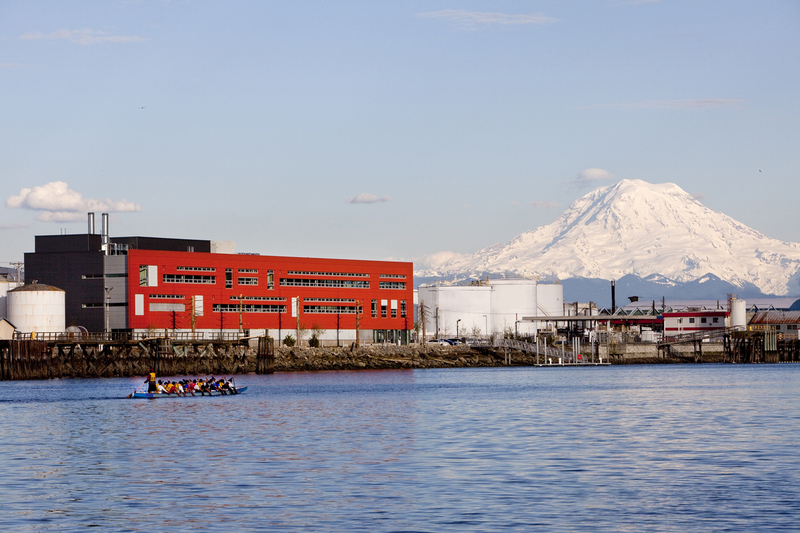 Our facility manager conducts guided tours, teaching visitors about the critical role of salmon in our region, the status of wild fish, and the ongoing efforts of Long Live the Kings to recover wild salmon and promote sustainable fisheries. Over the years, the Glenwood Springs Chinook program has shown us that we still have much to learn about the many factors affecting the survival of juvenile salmon as they migrate through Puget Sound to the Pacific Ocean. This was the inspiration for our Salish Sea Marine Survival Project (Marinesurvivalproject.com). Over the last year, Long Live the Kings has been forging new partnerships and making new connections up and down the Lake Washington Ship Canal. We’re part of a loose coalition of diverse interests: commercial fishing companies, boat maintenance yards, the Port of Seattle, American Waterway Operators and the Lake Washington-Cedar-Sammamish Watershed Salmon Recovery Council, among others, working to ensure that the Ballard Locks get the attention and funding they deserve to remain open and facilitate safe fish migration. What is the issue at the Locks? 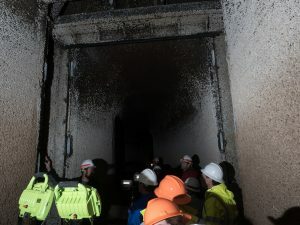 The large Locks chamber during an annual clean-out. For anadromous fish like salmon, the Ballard Locks represent the biggest barrier in the watershed. All salmon have to navigate the Locks to go to the ocean and return to spawn, running the gauntlet of 100-year-old machinery and a patchwork of workarounds. The fish ladder functions as it should for returning adults, but as they travel through the large and small Locks, they risk injury by getting pulled into saltwater drains. 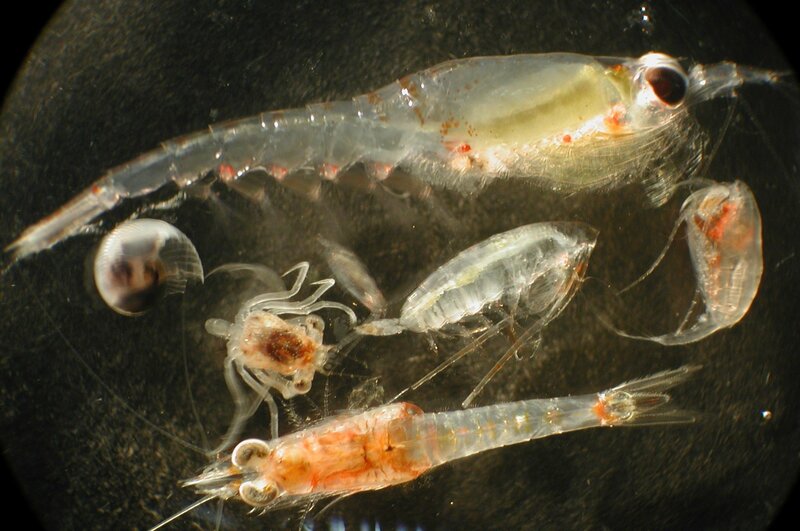 The small salmon smolts (outmigrating juveniles) face even more danger. They “go with the flow” and end up exiting the Locks one of two ways: the lucky smolts exit via slides or flumes installed by the Army Corps of Engineers for safer passage, while the unlucky ones get sucked into the filling tunnels and scraped along rough, barnacle-covered walls – more on that and photos below! 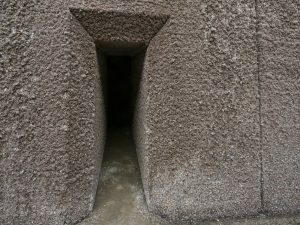 Barnacle-encrusted filling tunnels inside the large Locks. These rough surfaces can badly injure or even kill small fish. Managers have known about these issues since a plan to recover Chinook was written in 2005. 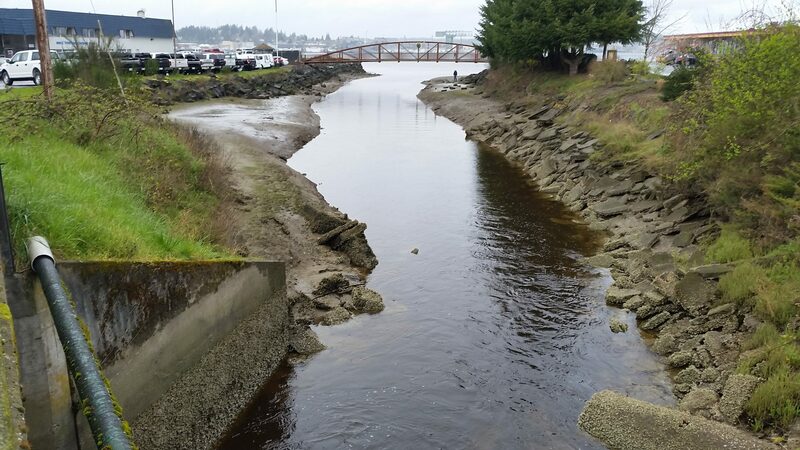 The Army Corps of Engineers partnered with the Salmon Recovery Council to make temporary fixes and minor improvements, but funding for permanent fixes and improvements for passage was the primary barrier (no pun intended). The erroneous notion in Washington DC had been that the Ballard Locks were largely a recreational and tourist amenity, and so we were unable to access maintenance dollars when competing with the big, commerce-moving infrastructure of the Mississippi or even the Columbia River facilities. 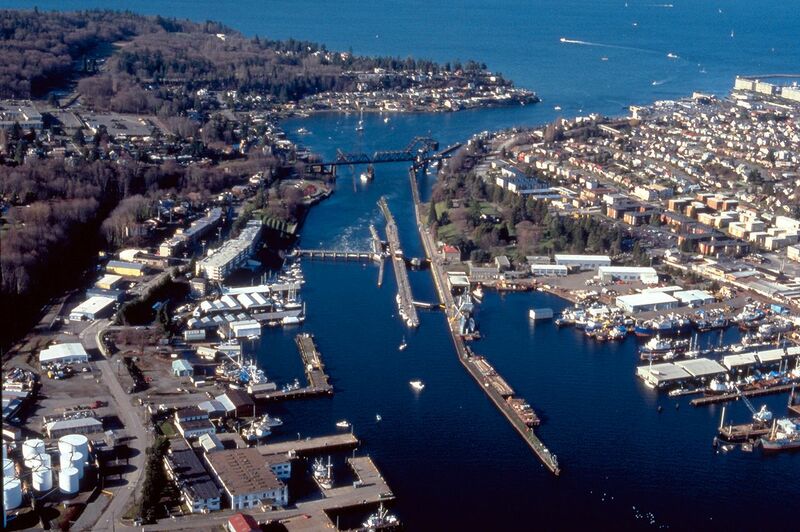 Thanks to our new Ship Canal partners, that notion was put to rest when they commissioned a study to demonstrate the huge value of the Locks, which provide a freshwater port on Puget Sound for the Alaskan Fishing fleet and an entire maritime industry. They estimated over $1.2 billion in annual economic losses to the maritime industry alone if the Locks were to fail. We credit this study as catalyzing our coalition of partners who welcomed the “salmon interests” into their fold and together we worked with the Washington congressional delegation and every level of US Army Corps of Engineers to make the problem and solution well understood. Tour attendees standing in front of the old large locks filling tunnel gate. The list of necessary upgrades for the Locks includes replacing this gate. The solution is a suite of projects for the 101-year-old structure, making a series of necessary upgrades and replacements to ensure the continued operation of the Locks while also improving survival of juvenile and adult migrating salmon. This series of projects will take several years to complete and we will need to keep up the pressure to fund them and see it through. The project that benefits fish most happens to be the first project on the list, so it won’t be long before we see a benefit to sockeye, Chinook, and coho salmon. 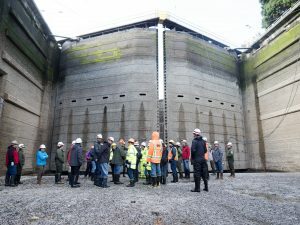 The project entails replacing the valves and machinery of the ‘filling culvert’ mentioned earlier: a huge tunnel that moves lake water into the large lock to fill it during a lockage (when a vessel is raised or lowered to the the appropriate water level). The upgrades allow the culvert gates to open and close at different speeds to slow the velocity of water entering the locks during the smolt outmigration. This improvement, along with the smolt slides and flumes that you see as you walk across the dam at the Locks, should markedly increase the number of smolts that experience safe passage from the Ship Canal to Puget Sound. Very importantly, the overall safety and functionality of the Locks is being improved. Last year’s funding was approved to replace a crane for the emergency closure system. Now the large Lock filling mechanism marks the project with the highest price tag on the list. Future projects involve seismic retrofits and a new screen on the saltwater drain so fish don’t get entrained (stuck) there. 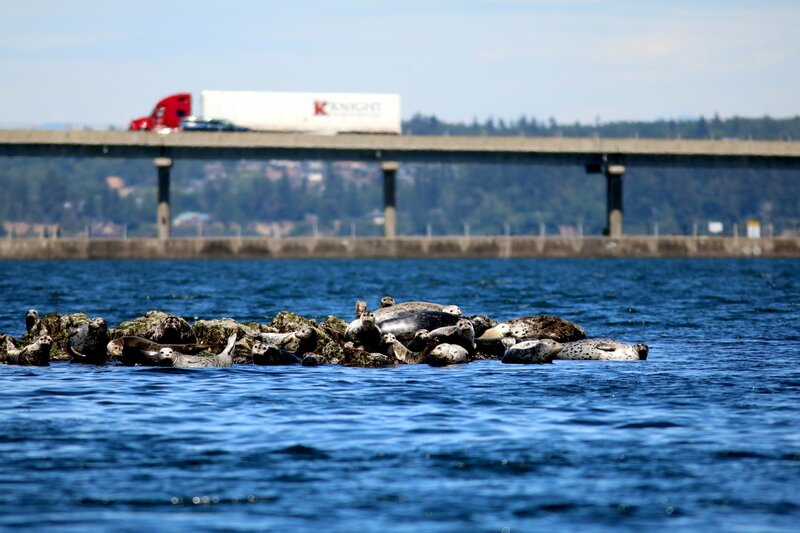 There is more to do but let’s take a minute to celebrate this victory for fish and infrastructure in Puget Sound! Help us thank our Congressional leaders, especially Senator Patty Murray and Rep. Pramila Jayapal. Want to tour the large Locks and filling tunnel? Every year the Army Corps of Engineers empties each Lock at different times and conducts a series of safety checks and tests. They also scrape barnacles from inside the filling tunnel. The public can sign up to join a tour. Sign up here. Support LLTK to help advocate for salmon and steelhead in Olympia and Washington DC. Most of our grant funds can’t be used for this sort of effort, so we rely on individual donors to be able to leverage partnerships, meet with elected officials, and be a voice for salmon. Through this spring and early summer, as salmon and steelhead migrate out of their home rivers, we are filled with hope that they will thrive in marine waters and return big and strong to support local fishing communities and Orca whales, and continue to nourish the health of their native watersheds, thus restarting the cycle. This hope is both brightened by recent successes and tempered by the great challenges they, and we, face. Good news includes two specific successes from Long Live the Kings and our partners that deserve celebration. 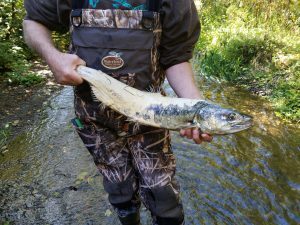 As part of a recovery effort in partnership with the Skokomish Tribe and Tacoma Power, three-year old spring Chinook reared at our Lilliwaup facility returned this May to the north fork of the Skokomish River for the first time in memory. Also in Hood Canal, the Endangered Species Act listed population of summer chum in Lilliwaup Creek, once in single digits, are now, in 2018, considered “self-sustaining” and no longer require intervention. Our mission is to restore wild salmon populations, so to see this success and be able to step away from the work is truly gratifying. Continuing challenges include poor marine survival of both salmon and steelhead in the Salish Sea, and problems with barriers to migration that we know are preventing recovery. Long Live the Kings is nearing completion of the two country, 60 partner, and 200 researcher Salish Sea Marine Survival Project and we are already recommending solutions. The solutions come in the form of specific actions such as reducing toxics, treating parasites that can make fish sick, identifying ways to reduce excessive predation on young fish, and improving hatchery practices that can increase survival. Our fun and educational Survive the Sound fish-tracking game reached over 35,000 kids and adults this year, educating them about these challenges and what it really takes for these salmon and steelhead to make it to the ocean. Long Live the Kings’ leadership and successes in the Marine Survival Project, population recovery in rivers, and our outreach to the community with Survive the Sound speaks to the importance of a large and committed community that supports our work. Thank you for your partnership, you help us advance salmon recovery throughout the state and the Pacific Northwest. If we save salmon, we ultimately save ourselves. Environmental Science Associates is an LLTK Sponsor. The Salish Sea (comprised of the Puget Sound, Strait of Georgia, and Strait of Juan de Fuca) is the lifeblood of the Pacific Northwest—it’s a platform for recreation, a conduit for transportation, and is home to one of the region’s most precious cultural resources: salmon. But with the region’s surging population and the growing threats of climate change, the health of this lifeline hangs in the balance. Even with the relatively small amount of funding devoted to recovery efforts, a modest amount of funding is still making its way into the region for restoration of the Puget Sound and its surrounding rivers and tributaries. And, while the funding is mostly federal, the work that actually affects species and habitats happens at the local level with on-the-ground projects. While local governments, environmental firms, and organizations (like Long Live the Kings and the Puget Sound Partnership) can help steer the efforts of salmon recovery, it is Washington’s Native American tribes that play a critical role in the recovery and restoration of the Puget Sound ecosystem and its native salmonids. As with most of Washington’s Native American tribes, the Suquamish are connected to salmon in virtually every aspect of their daily life—from nourishment and family to ceremony and trade. Taking their name from a phrase in their traditional Lushootseed language, these “people of the clear salt water” are expert fisherman, canoe builders, and basket weavers that have lived in harmony with the lands and waterways along Washington’s Central Puget Sound Region for thousands of years. Today, salmon remains a staple in the diets of Tribal people and is also the primary source of income for many Tribal families. 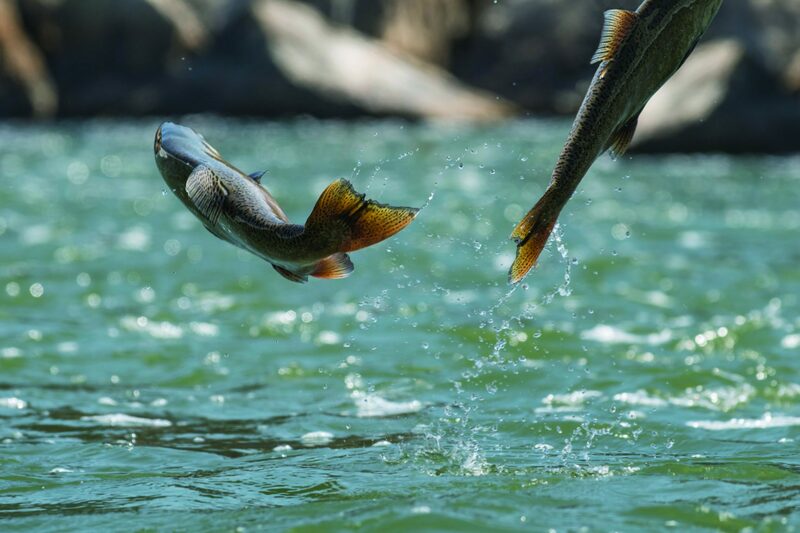 The Suquamish Tribe is committed to maintaining the health and productivity of salmon to ensure availability for future generations, and, as such, have been an instrumental player in helping to restore healthy populations in the region. Here are two recent projects that Environmental Science Associates (ESA) partnered with the Tribe on that illuminate this commitment. Since the initial listing of Puget Sound steelhead as threatened in 2007, the Suquamish Tribe has been a champion for steelhead recovery and a leader in monitoring salmon and steelhead returns and watershed conditions. In 2016, the Tribe successfully persuaded NOAA Fisheries to expand the portion of the Kitsap Peninsula designated as critical habitat for steelhead. More recently, the Tribe has invested valuable time and resources toward assessing priority watersheds on the peninsula to enable more effective management, protection, and restoration of habitat for steelhead and other salmon species. Now, in collaboration with the West Sound Watersheds Council, the Tribe will be one of the first watersheds to tackle developing a recovery plan chapter for steelhead. Female summer chum after spawning. 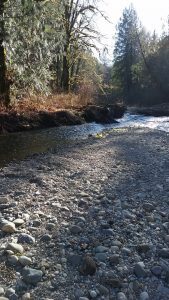 ESA—in partnership with Long Live the Kings—is currently assisting the Tribe with this laudable endeavor by developing population and habitat goals for this community of steelhead, an effort that requires broad evaluation of existing information, model approaches, and stakeholder input. With scant data available for these fish, we will rely the best available local science and other pertinent information along with regional tools and guidance such as the Puget Sound Partnership’s Chinook Recovery Planning toolkit to expedite development of recovery strategies and the final plan. Prior to this steelhead effort, the Suquamish focused on the human induced impacts to the spawning, rearing, and migratory habitat of native salmonids in the Blackjack Creek watershed, and finding ways to prevent further degradation and restore habitat-forming processes. Through a science-based assessment, ESA assisted the Tribe in developing a complete and clear plan of distinct strategies and actions that can guide, inform, and ultimately meet its objectives for restoring watershed processes, including the stream, riparian and floodplain conditions, estuary, and nearshore habitats in this specific area of Puget Sound. While there is still a tremendous amount of work to be done, it is these concentrated efforts—in partnership with Salish Sea tribes—compounding over time that will have a profound and lasting impact in restoring the precious balance of Puget Sound. Ilon Logan is a Senior Ecologist at Environmental Science Associates. View Long Live the Kings’ 2017 annual report to get a snapshot of LLTK’s projects and progress. 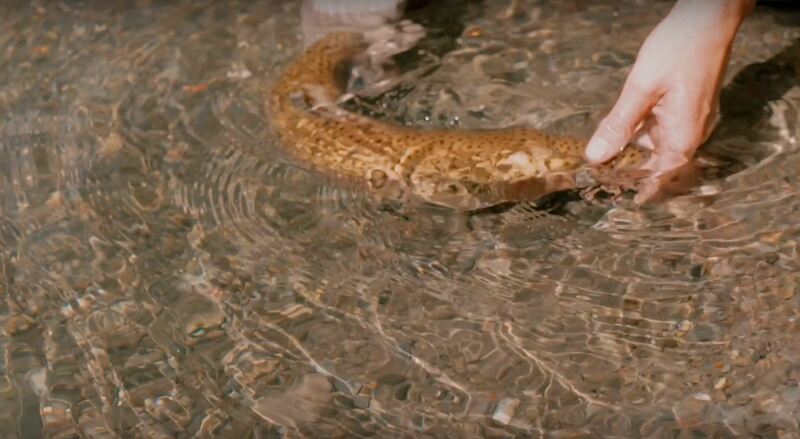 To raise awareness about high mortality rates for steelhead and salmon in Puget Sound waters, “Survive the Sound” invites students to track juvenile steelhead as they travel to the ocean from their freshwater homes. Just a few paces from the front entrance to Cascadia Elementary School, dozens of baby salmon dart around in a large, bubbling tank. But for a class of 28 second-graders down the hall, a cartoon juvenile steelhead named “Fishy McFishface” is stealing the show. For the past week, teacher Gary Bass Jr. has used Fishy — an alias for a real fish that’s been fitted with a surgically implanted tracking device — to teach his students about the obstacle-ridden journey from the river to the ocean that most Puget Sound steelhead die trying to complete. “Should we check in on our fish?” Bass asked just after the morning bell on a recent school day. The students gave a cheer and scurried to the front of the classroom as Bass pulled up a website on a projection screen. To the left of a map of Puget Sounds waters, a panel showed a leaderboard with 47 other fish, the migration mascots for the nearly 2,000 classrooms, most of them in Washington, that are participating in “Survive the Sound” this year. 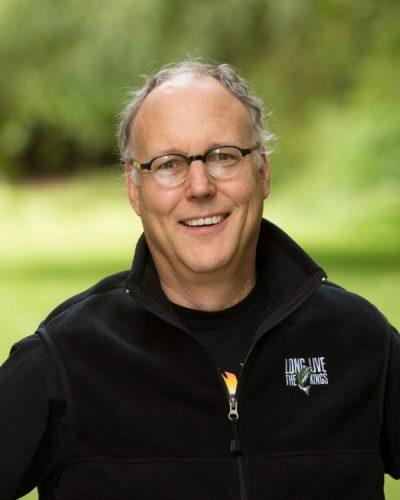 Created by salmon-conservation nonprofit Long Live the Kings, Survive the Sound became a supplement to salmon and steelhead curricula somewhat accidentally. Described as a sort of fantasy football for fish, the initiative started during last year’s steelhead migration. Continue Reading at Seattle Times. 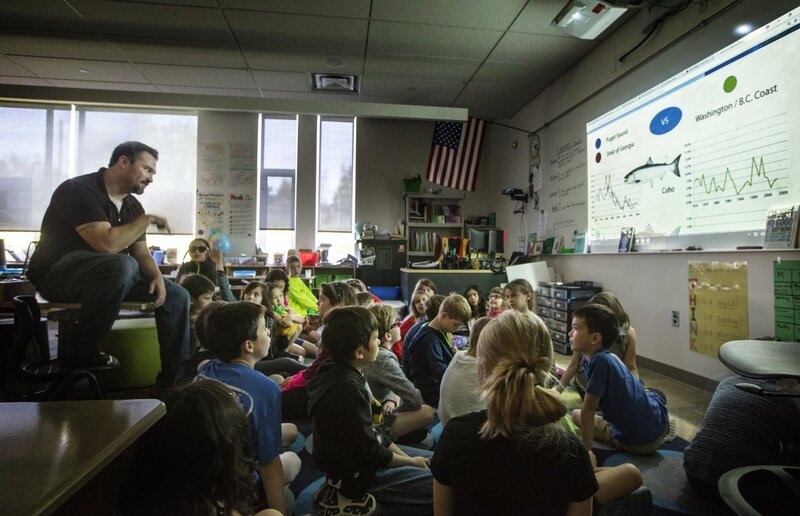 Image caption: Cascadia Elementary School teacher Gary Bass Jr. answers questions at the end of a lesson about salmon and steelhead migration to the Puget Sound. Bass also works writing and math into his “Survive the Sound” lesson plan. A lot of effort goes into tracking juvenile steelhead. People often ask us how we’re able to pull off tracking 48 juvenile steelhead, and they’re are always impressed to find out what goes into it. So, we’ve outlined the process in the steps below! 1. Over the course of about 2 months during spring, scientists from Washington Department of Fish and Wildlife and NOAA’s Northwest Fisheries Science Center work together to trap 300-350 wild steelhead migrating from their natal streams to the saltwater. WDFW fish weir on Big Beef Creek near Hood Canal. 2. Scientists surgically implant a small acoustic tag inside the body cavity of each juvenile steelhead. The tags are the size of a large pill and cost hundreds of dollars each. Each tiny tag is programmed to transmit, or “ping”, a unique code every few seconds. The fish are anesthetized for surgery and placed in a special recovery tank afterwards. They are back up and swimming strong in a matter of minutes! 3. 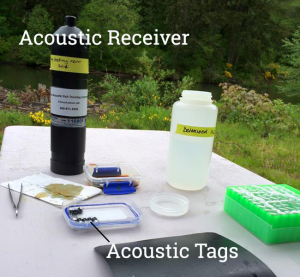 When scientists release the tagged fish back into the river and they continue migrating towards the Pacific Ocean, acoustic receivers placed underwater all around Puget Sound log every acoustic ping they ‘hear’ from nearby (200m or less) tagged steelhead. The batteries in the tag die soon after the fish reach the Pacific Ocean, therefore we are unable to track their return as adults. 4. In late summer, scientists travel to the location of each receiver and download its data. The data goes through a preliminary stage of processing and then 48 fish, who are representative of the larger group of tagged fish, are selected for Survive the Sound. Scientists interpret the data for all 48 fish to create a smooth migration path over a 12 day period. 5. The tracking data from each of the fish is assigned to a Survive the Sound character and 24 hours of the fish’s movements are shown on the map each day of the migration.